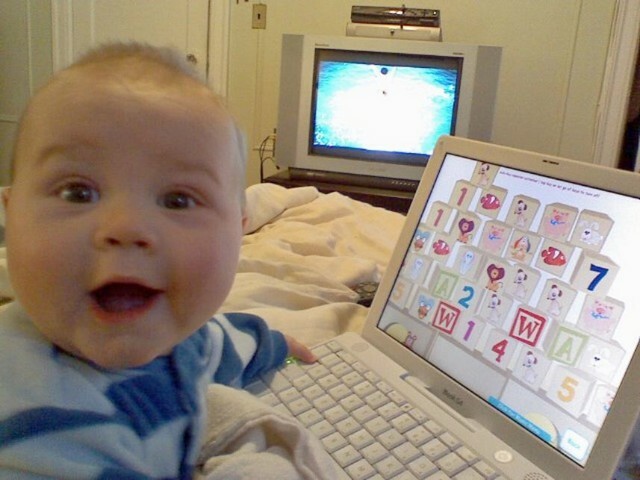 Bringing home baby's first computer game will make parents happy, too! Giggles Computer Funtime for Baby interactive programs from Leveractive are well designed for the little curious ones who want to understand the world around them. Giggles are full of a variety of learning tools to interact with the computer, combined in a layered format that keeps young children entertained for hours, which makes parents giggle with delight watching their progeny explore the digital playground. 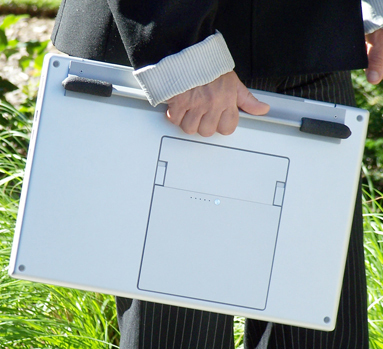 Now that laptops have smooth cases, boasting the cleanest uncluttered lines this side of a stealth bomber, it's also getting tougher to actually carry them without fear of dropping them as they slide out of your grip. Last year we reviewed a handle for the MacBook Pro and PowerBook G4, so when we received the Fins-Up "Fin" we were intrigued. A simple idea done right, the Fin looks like a shark's fin, made of aluminum. At Mac Edition Radio, we often work with cutting-edge digital imaging technology and professional-level equipment. But with General Electric's recent entry (our interview on this is here) into the consumer photography space, we wondered how a digital novice would find working with one of GE‚Äôs newest releases, the G1 branded as a GE product and marketed by General Imaging. So, we sent the camera off to Europe twice with product tester and world traveler Regina Barthmaier, who loves photography but hadn't yet ventured far into the digital realm. Regina used the camera for two trips to Europe, including Italy, Paris, and Amsterdam, and in total took more then 700 photos. As Regina puts it, "As luck would have it, right before I was scheduled to leave for Fabriano, Italy, Harris Fogel asked if I would be willing to test out a brand new digital camera from GE, the G1. Of course, I jumped at the opportunity." One of the most stylish entries into the iPod sphere comes from Boynq Studio. 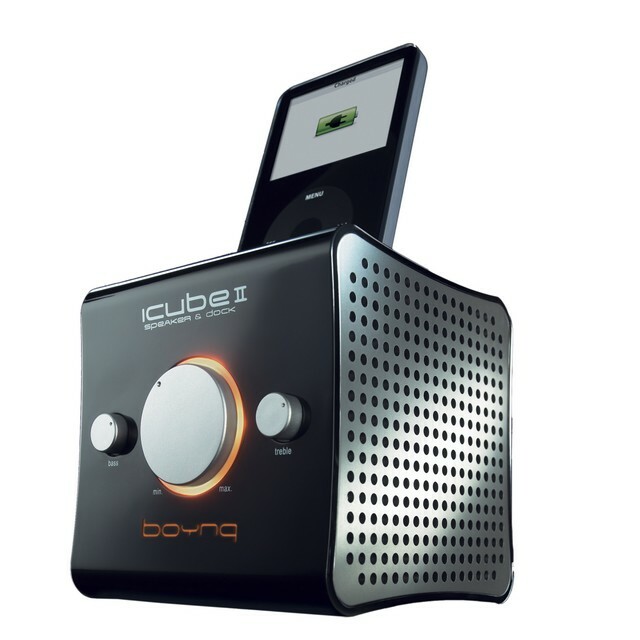 The iCube II is a small cube, available in black or pink. It's got some great curves, nice attention to detail, and surprisingly good sound. If you want to make someone crazy happy, then consider the new Altec Lansing IMV 712. 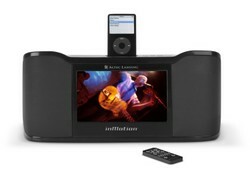 The IM stands for In Motion, one of the first iPod-compatible systems on the market. 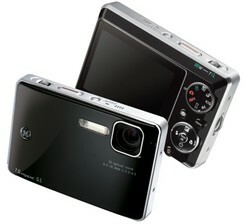 Over the years, they have consistently revised and upgraded their product line. The IMV 712 takes this several steps forward with the inclusion of video. 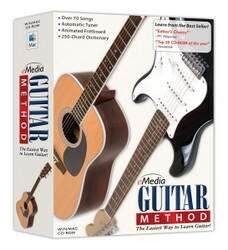 eMedia's Guitar Method Version 4 Brings Expert Guitar Instruction to Your Home! Set the stage: I am in front of a monitor, about to perform some awesome licks. I leap into a wicked guitar solo and start it off pretty good. Then comes the really fast part and I mess up so many chords. I clench my guitar neck in frustration and try the song again. No, I'm not playing Guitar Hero. Instead, I'm actually playing real notes and chords written for guitar, on my actual instrument, with the help of eMedia's Guitar Method Version 4. A while back, folks representing a new application called Pzizz contacted us. According to Pzizz, the problem with our overworked, overstressed lives is that we aren't doing enough to take care of ourselves, and one easy way is to embrace the power of naps. 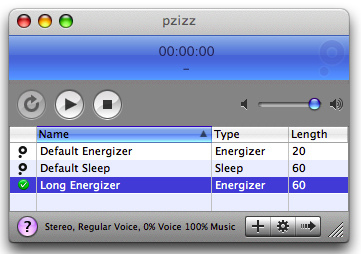 And Pzizz was created to help take power naps that would either help to energize you, or to get to sleep. One of our favorite hardware companies is the Matias Corporation, named after Mac aficionado Edgar Matias. Originally known for their line of Tactile Pro keyboards, which were built to feel like the legendary Apple keyboards of yore, with their great responsive feel. Over the years they have expanded their product line to include cases, all of which have a common goal of protecting the products they wrap. 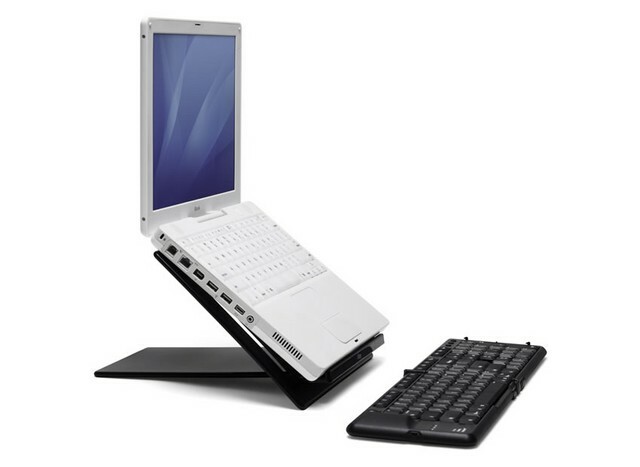 This year they introduced a couple of well-engineered laptop stands to round out their product line. 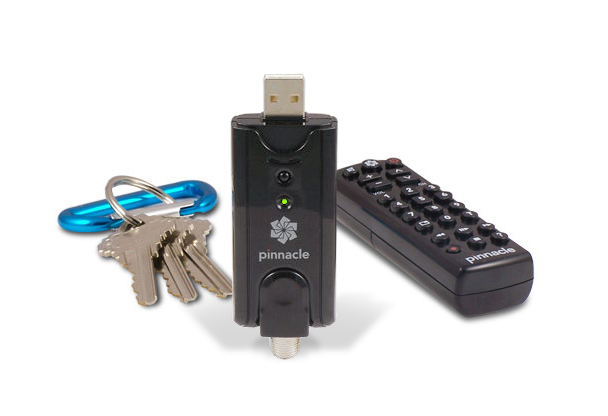 Set sail for television viewing on land, in your RV, or aboard your boat with the Pinnacle TV for Mac HD Stick. Powered by Elgato’s EyeTV® Lite software, the TV for Mac HD Stick allows you to transform your Mac into a fully functioning digital and analog television receiver, complete with a miniature remote control. Hey, what else do you need but a cold beer and a bag of chips and you’ll be ready to watch your favorite shows and never miss a big game on live TV! Anyone who has ever had to cart cameras and accessories on a day trip, a pro shoot, or a cross-country vacation knows that a good case can't be underestimated. And instead of making our lives simpler, the shift to digital photography has only increased the need for a good case, one that protects and serves, so that your equipment is ready when you are. 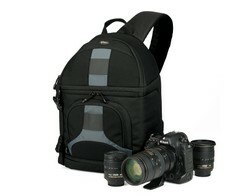 The LowePro Vertex 200 AW and SlingShot 200 AW are new camera cases that are worthy of a careful look.